You know those videos which are strangely satisfying to watch, even though you don’t really know why? Y’know, like melting floral foam and chameleons popping bubbles? Well, we’ve got another one for you today. 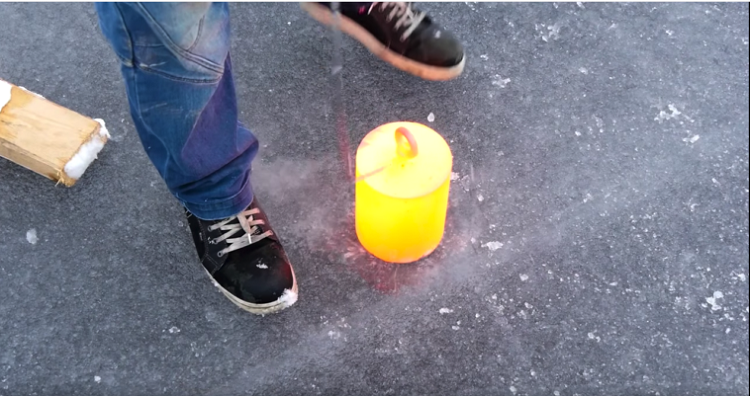 The Finnish YouTube creators, Hydraulic Press Channel, have made a name for themselves on social media for their increasingly crazy videos, where they’re seen melting things with red hot steel objects. But one of their latest videos has really got people talking. 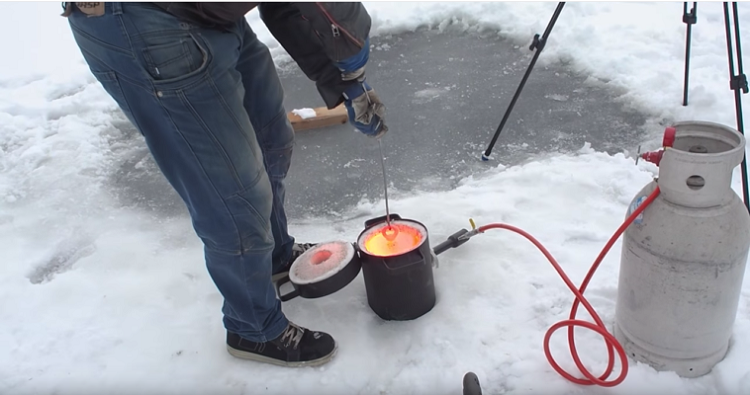 In it, we see the YouTubers heating up a 20k block of steel until it is red hot, and then placing it on a frozen lake in order to see how long it takes to sear through the ice. The result is surprisingly satisfying, and not what I expected!. Watch the crazy video below. And don’t try this at home! Previous articlePizza Hut Employees Caught Getting Frisky During Opening Hours!